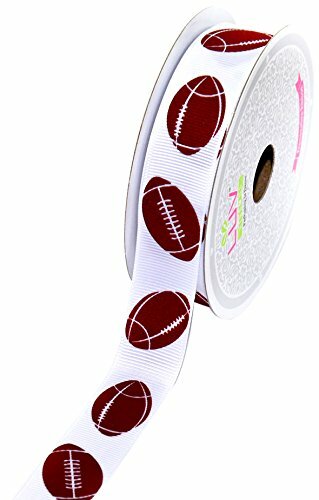 Our Product HipGirl brand sports printed grosgrain ribbon. Pick one for your team. 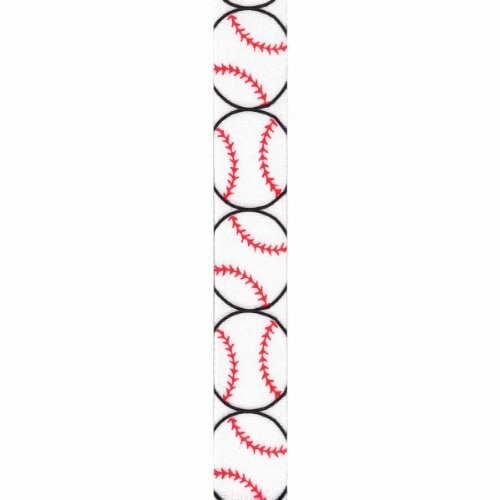 100% polyester fabric ribbon, Machine washable/colorfast. Perfect for sewing, scrapbooking, decorating, cheer leader hair bow making and many more projects. Perfect for women, girls, high schools, colleges. About Us Hip Girl Boutique LLC began in 2005 and has grown and flourished over more than a decade. We strive to offer high quality products and attentive services. Our products span a wide range of interests: ribbon, bows and metal hair clips (craft supplies); pre-made hair accessories, craft show and retail necessities; nail art supplies... HipGirl is a registered trademark. We posted hundreds of free tutorials online. They are easy to follow. The cute DIY projects make perfect gifts. To check out more tutorials, just Google "hipgirlclips Free How To's". 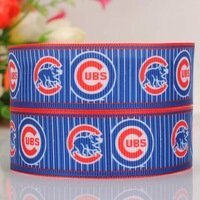 Show your team spirit with this 7/8-inch grosgrain sports themed ribbon on a 10 yard spool. Ideal for cheerleader bows, hair accessories, gift packaging and much more. Available in different sports. 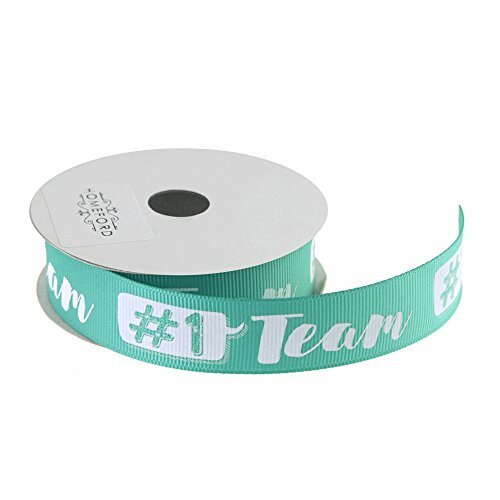 The ribbon features a "#1 Team" phrase is great the your best team for any sports festival organized and fun! Color coordinated so its easier for your teammates to spot your group and cheer on. Also, can be use for scrap-booking and craft projects. 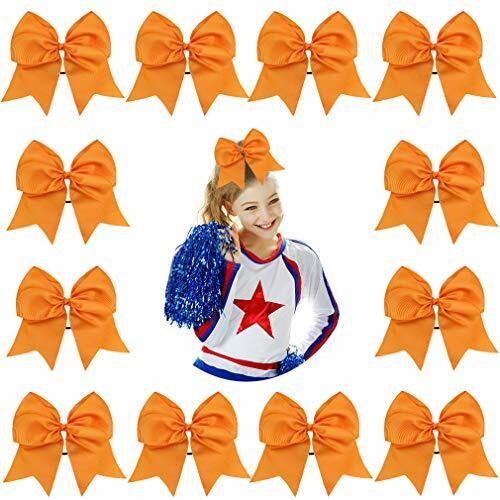 Now our school spirit shines even brighter with our new Sequin School Spirit Cheer Bows! Easily attaching to a ponytail with a wrapped elastic hair tie, she can jump and cheer to her heart's content without fear of losing her bow. These cheer bows are perfect for outfitting the whole team! These cheer style bows have ribbon tails and attach to ponytails with hair ties. Each bow is made of 2.25" ribbon and is about 6" across with 6" tails. Includes an elastic hair tie. Since these bows are so big, they may get a little 'smooshed' by their packaging and you can fluff them up or use a hair straightener to gently remove any wrinkles in the ribbon. 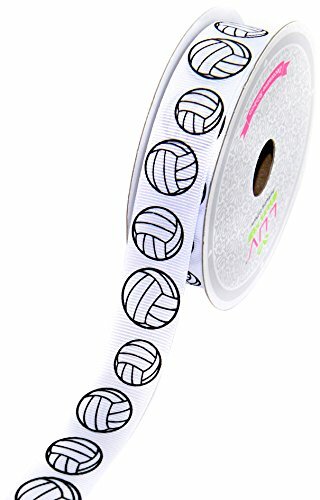 HipGirl brand 7/8" grosgrain ribbon--close up volleyball, Hot Pink. 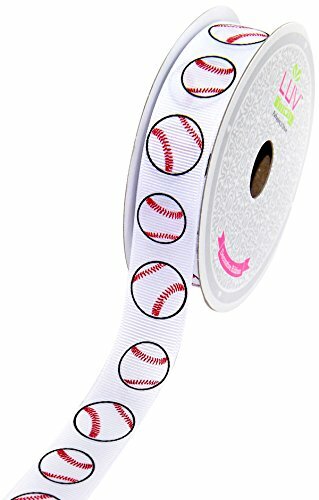 Designs are printed on one side of the grosgrain ribbon. Great for gift wrapping, team hair bows, cheer leader bows, pony streamers, headbands, scrapbook and many more projects. Usage: make hair bows,decorate the mini top hats,decorate girls dresses,wedding celebrated decorations, festival party decoration,etc. *If there exists any problem,we will try our best to solve it for your satisfaction and our integrity to provide Five Star service! Enjoy your purchase here and Happy forever! Best wishes for all of you!